Capturing Colour: Film, Invention and Wonder is an exhibition on the early history of motion picture colour and related media. The exhibition opened on 4 December at Brighton Museum & Art Gallery and runs until 20 March 2011. 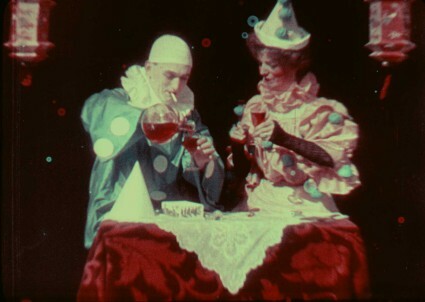 The exhibition encompasses magic lanterns, early colour photography, chromatropes, kromskops and applied colour films, through to Kinemacolor, Kodachrome and Technicolor, and explores dramas and actualities, Hollywood productions and home movies. There’s not much to look at on the Museum website, but I can vouch for the presence at the exhibition of some precious examples of very early motion picture colour technology, including a Lee and Turner triple-lens colour projector c.1901 and a Kinemacolor projector from the collection of the National Media Museum, which I saw being packed up for the exhibition a few weeks ago.